Calling all tomato-lovers! This easy weeknight dinner has it all: sun-dried and fire-roasted tomatoes to double up on that full-bodied savory flavor. Add the umami from the mushrooms and the time-honored combination of garlic and herbs, and you’ve got a surefire winning recipe, all in just a few minutes of cooking time. 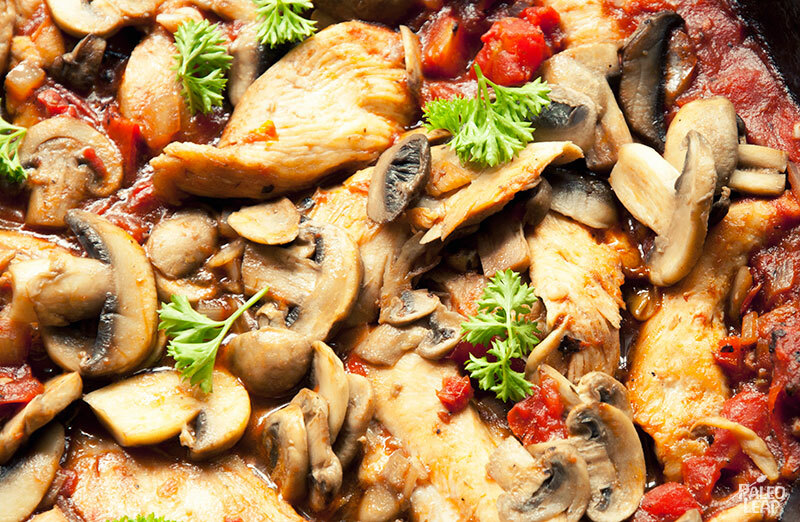 The tomato-based sauce is also perfect for the meat in this recipe: chicken tenderloins are extremely lean, so cooking them in the rich sauce helps add flavor and prevent them from drying out. If you’ve never cooked with tenderloins before, they’re very easy to use. They’re essentially like little miniature breasts: extremely versatile and easy to use in pretty much whatever you want to cook (if you’ve ever eaten chicken tenders at a restaurant, you were eating the tenderloin). In fact, there’s only one real difference between a breast and a tenderloin: the tenderloin is cheaper! With just a few minutes of prep and cook time, this recipe would be the perfect solution to a busy evening when you don’t have a lot of time to cook or wash up a huge pile of dishes. And it makes great leftovers, too, even for breakfast (imagine a bowl of all those delicious tomatoes, with a runny poached egg on top – yum!). 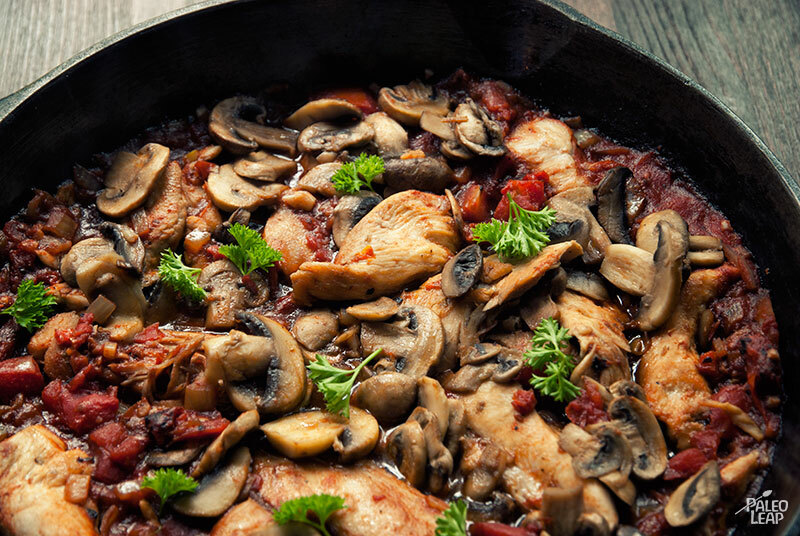 Make a big pan, save some for later, and enjoy all the time you’re not spending in front of the stove.